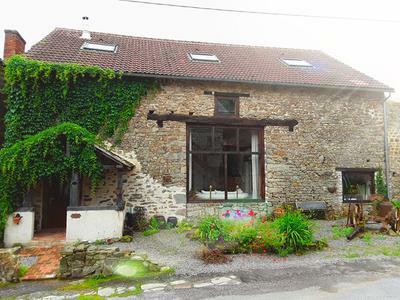 A lovely converted barn, set in a socially active and friendly hamlet in the heart of rural France. Very tastefully decorated, it provides a wonderful and very large family home with masses of space and light. Consisting of an impressive entrance hall which flows into the large dining kitchen, the study, family bathroom and showing off the grand bespoke oak staircase. A second private staircase with a Romeo and Juliette balcony leads to one of the five very generously sized bedrooms, with views over the gardens and open countryside. Taking the staircase to the first floor, there are four further bedrooms, (three of which are double),and a separate W.C. The master bedroom has French doors giving spectacular views of the garden and region. 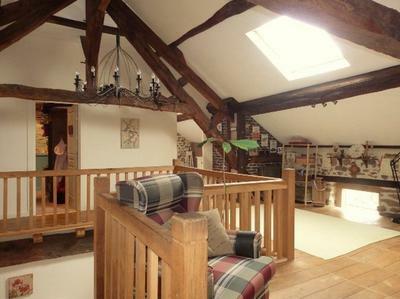 An attractive open mezzanine overlooks the downstairs hallway. Full of character and charm, with original oak framework exposed at every turn, contrasts well with the solid stone walls. The garden is situated to the rear of the property with a private driveway, an enclosed cobbled courtyard and is southfacing. It is here that you will find a rustic summer house, perfect for outdoor entertaining. 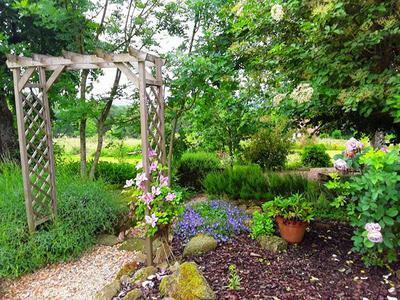 In addition to the garden there is an adjoining field of approximately more than a hectare (very useful if horses/animals are part of your lifestyle). The small market town of St Sulpice les Feuilles is less than a 10 minute walk, where all amenities can be found, a bank, doctors, supermarket, postoffice, a bar and much more. If schools are important, the village offers an excellent schooling complex from ages 3-16 years. The A20 motorway gives easy links to Paris or Toulouse and is about four miles away. The international airport of Limoges is an easy 45 minute drive where the UK can be easily reached with daily flights to the North and South of England. In summary, Millstone Barn is an extremely pleasant, practical and well situated home. After 14 years of love and attention, we are now looking for someone new to fall in love with it's charm.